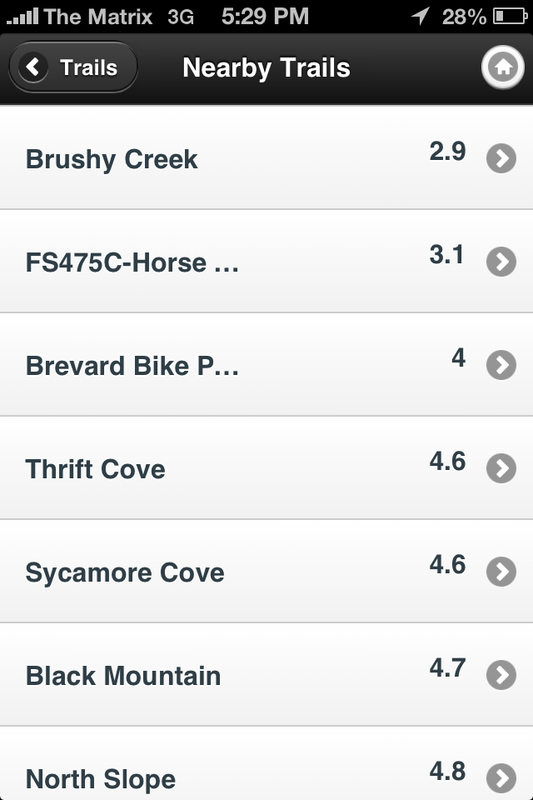 When you're visiting a new area, you can easily find mountain bike trails near you using the Singletracks app. To do this, open the app and click the "Trails" button on the home screen. 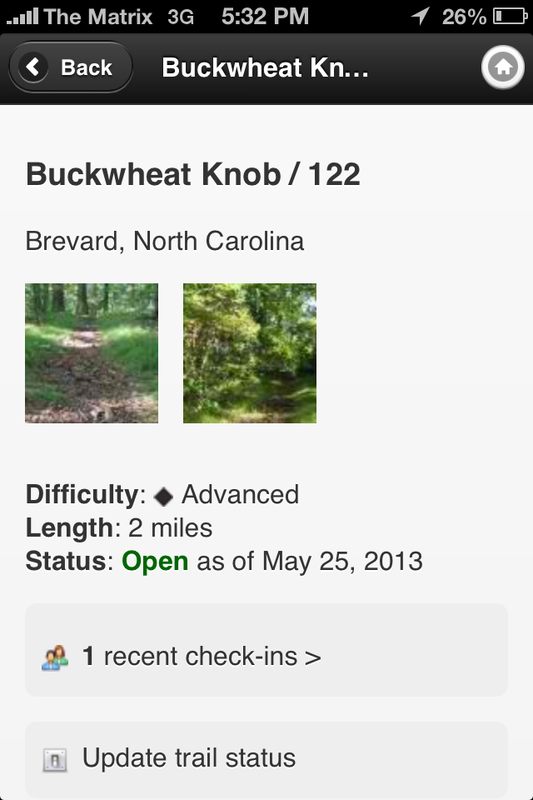 Then, click on the "Nearby Trails" button. The number on the right hand side is the distance to the trailhead as the crow flies. To determine which trail you want to ride, you can click on the trail name and read through the trail description, read trail reviews, and check out photos of the trail. 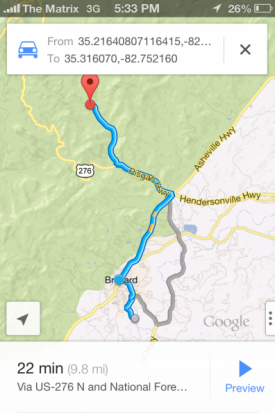 Using Google Maps or Apple's Maps app, you can get turn-by-turn directions to the trailhead. Once you've reached the trailhead, you can check in using your phone to earn badges as a part of our Singletracks Trail Challenge. 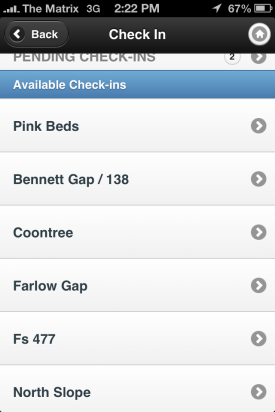 To do so, go to the home screen of the app and click "Check in." 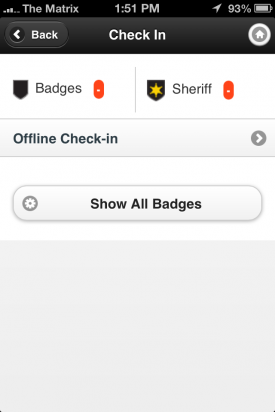 That button will pull up a list of trails that you are close enough to check in at. 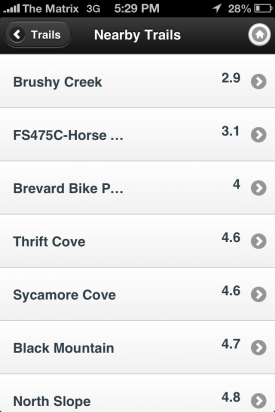 Choose the trail you are actually riding, and click on it. 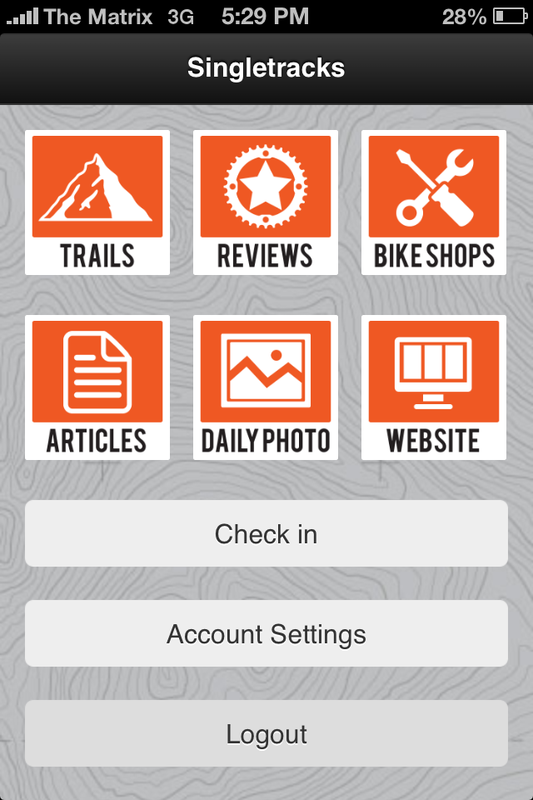 Checking in will also automatically add the trail to the list of trails you've ridden (if it wasn't already on there) and remove it from your trail wishlist. 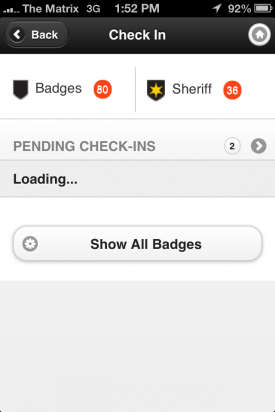 Once you've checked in, the app will ask you to update the trail status. You can skip this step if you're not sure what the trail will be like, and can always update the trail status later via the trail listing page. 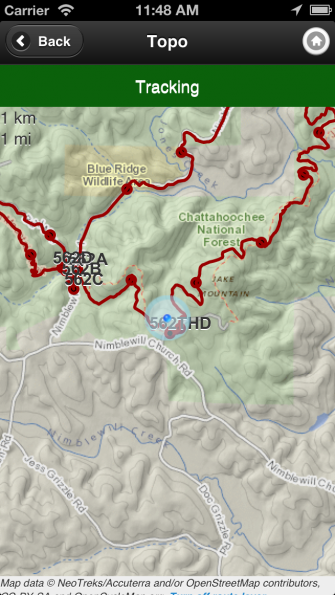 If you do not have cell phone service at the trailhead, you can log an offline check in. 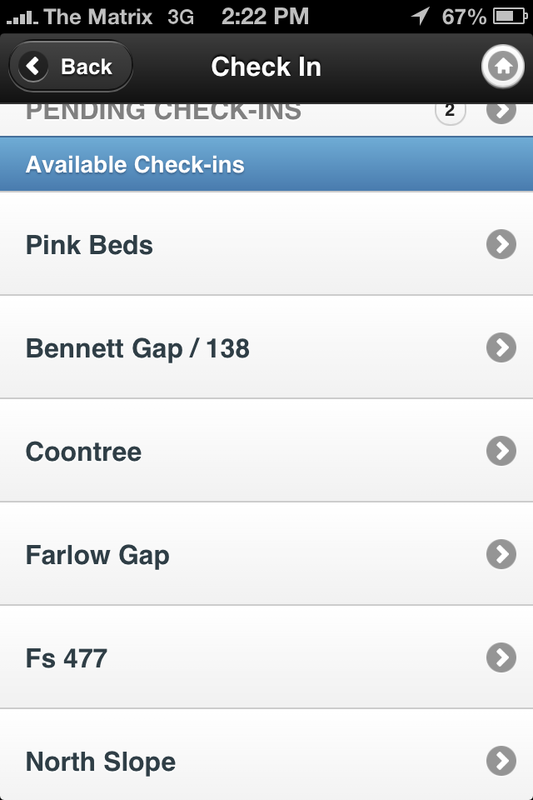 To do so, click on the "Offline Check-in" button on the check in page. Your location will be logged, and you can come back to it later once you have 3G or 4G service, or are on a wifi network. 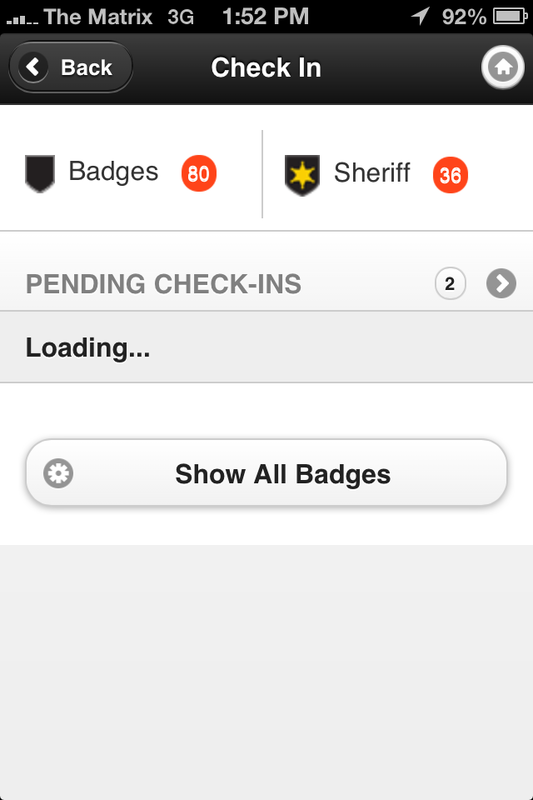 When you have data again, just click on the "Pending Check-ins" button. 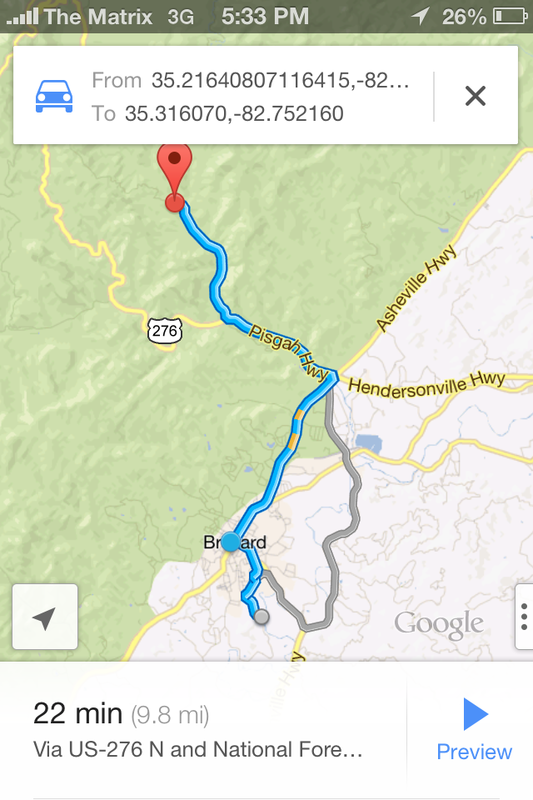 You'll then be able to select the trail you rode at. 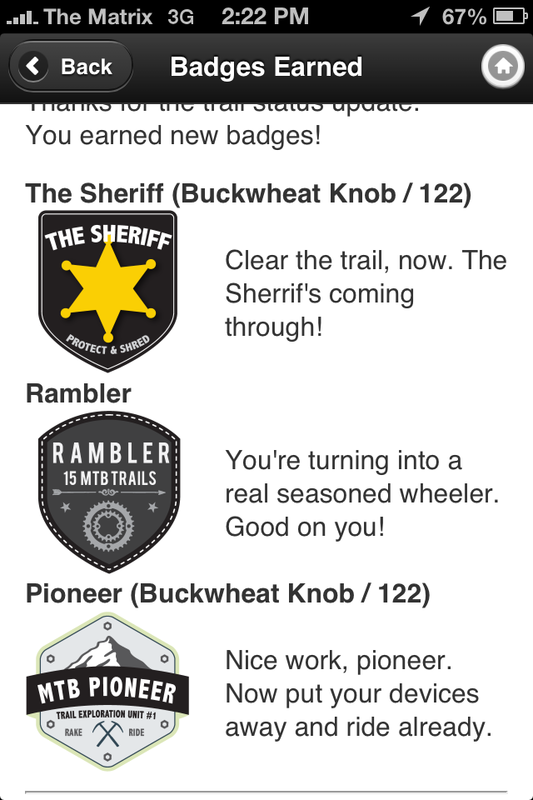 The offline check in option is also useful if the trail you are riding isn't in the database yet or doesn't have a trailhead location listed, and you want credit in the Singletracks Trail Challenge for riding the trail. 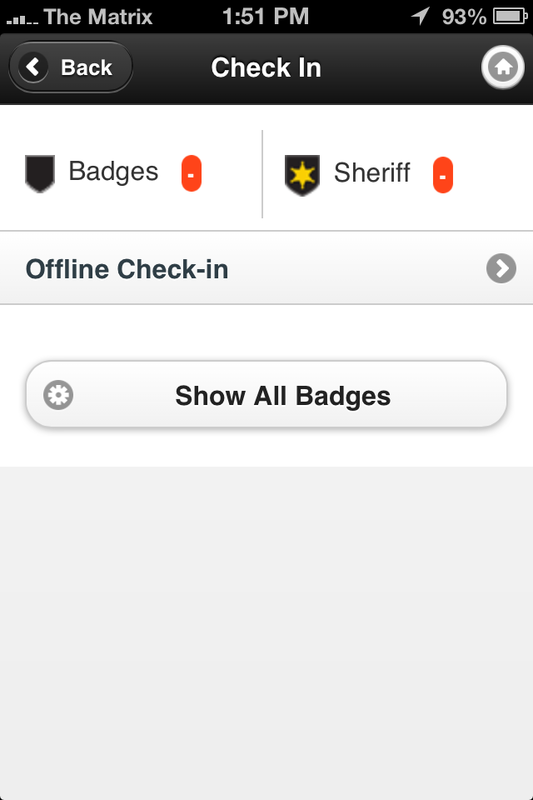 Just log your offline check in, and when the trailhead location has been added to Singletracks you can complete your check in. This is the fun part: it's finally time to ride! Shred that singletrack soldier, and enjoy every bit of it! 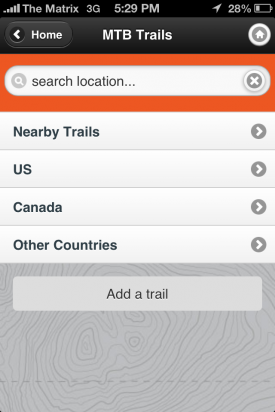 If you need help navigating the trail, the topo maps in the app are a great tool to use. 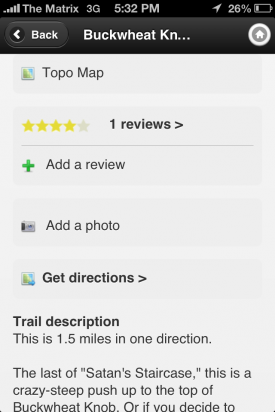 While maps are only available in the paid version of the app, with a $4 purchase of the "Topo" version of the Singletracks app you get unlimited access to the largest mountain bike trail map database in the world. That's a screaming deal! 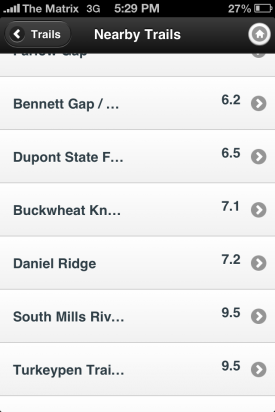 To access the map, click on the "Topo Map" button on the trail listing page. 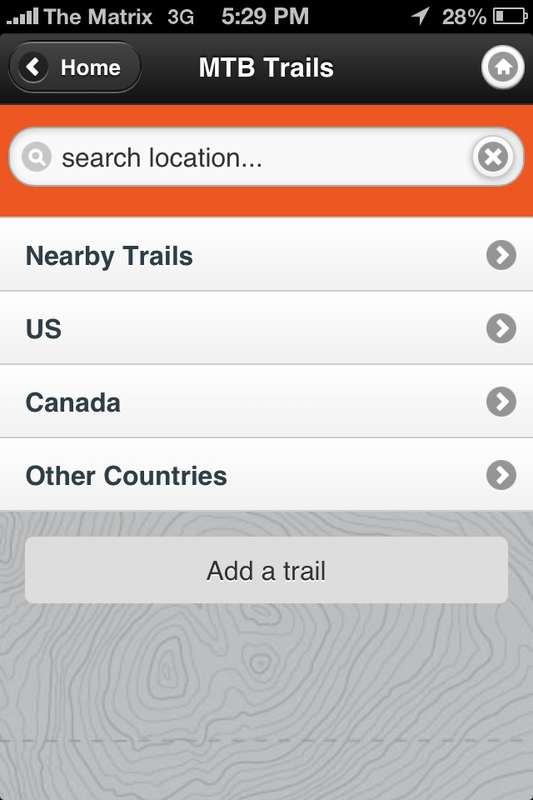 To locate yourself on the map, click the big "Follow trail" button at the top of the map, and the app will place a large blue dot where you're currently located. 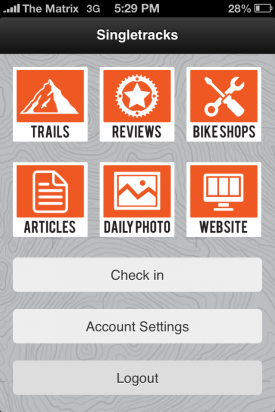 Armed with the Singletracks mobile app for iOs or Android, you are now equipped to travel to a new area and find the best trails to ride, find your way to the trailhead, make a record of your excursion, and find your way back to the car once you are out on the trail. So what are you waiting for? Get exploring!